It is easy to forget that Hong Kong is so much more than just bright lights and skyscrapers. Each region has its own unique character and attractions. 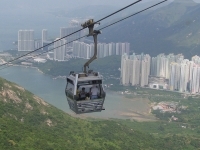 Visitors arriving on Hong Kong Island can admire the city from the deck of Star Ferry, or take Peak Tram up to the summit of Victoria Peak for panoramic views. 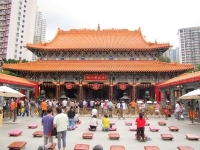 Tourists can take in Man Mo Temple, the oldest temple in Hong Kong, visit the traditional outdoor street markets of Wan Chai or head to Happy Valley for the horse racing. To the south, Stanley Beach hosts Dragon Boat racing every year during Tuen Ng festival. Across the bay to the north lies Kowloon, diverse and atmospheric. Shanghai Street offers a fascinating insight into local life. Shopping is king in the popular night market of Temple Street and the vast retail destination that is Harbour City. Guinness World Records recognise 'A Symphony of Lights' as the biggest permanent sound and light show in the world. Kowloon also hosts the Avenue of Stars, celebrating icons of Asian cinema. Sai Kung peninsula in the New Territories provides a welcome change of pace. Rural life carries on as it always has, and this is the gateway to some spectacular countryside. The Ping Shan Heritage Trail, to the northwest, tracks past old face brick homes and forts, and abandoned towns from the agricultural age of the region. 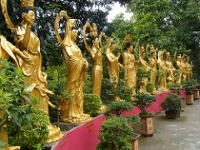 Tourists will enjoy a trip to the 10,000 Buddhas Monastery, home of course to nearly 13,000 Buddha statues. Of the Outlying Islands, Lantau is the most popular, not least due to the presence of Disneyland. The Lantau Trail is ideal for adventurous hikers. Visitors will also enjoy Po Lin Monastery, home to the largest seated Buddha statue in the world.